The story of a Catholic parish often begins with the date and place of the first Mass. In the olden days, that Mass was likely to have occurred in someone’s home or log cabin. And it would have been an occasion of great joy and significance for the gathered community; after all, a new parish was a sign of God’s abundant blessing and the continued growth of the Catholic faith. 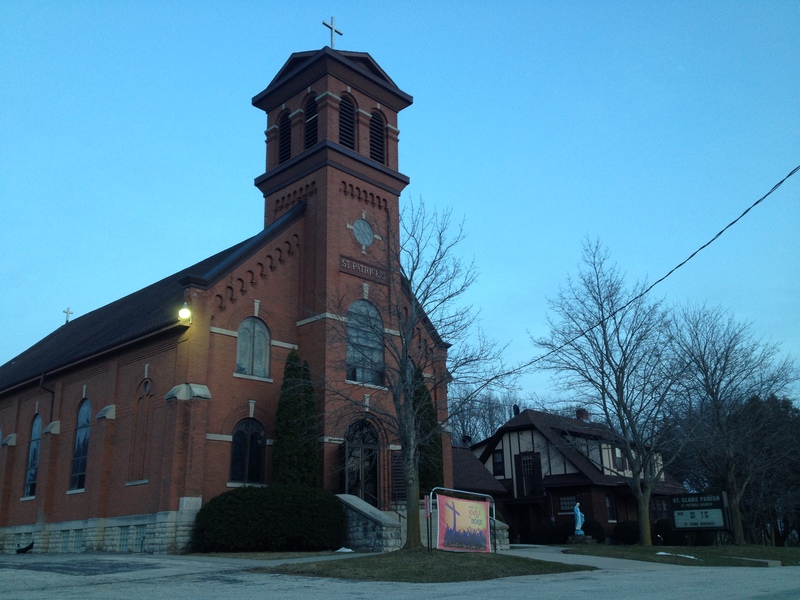 But the beginnings of Saint Clare Parish are markedly different from those first parishes which began to dot the forests and countryside of Mid-19th Century Wisconsin. For instance, Catholic parishes have already been well-established in the area, with generations of the faithful having been baptized and confirmed, and local traditions and identities already having been solidified. Also, in these first decades of the 21st Century, the Catholic faith is in decline in this part of the world: in the numbers of the faithful and in the practice of the faith, and in the numbers of ordained priests available to shepherd Christ’s flock. This is the “new world” into which Saint Clare Parish was born on 1 July 2009. In an era of parish mergers, consolidations, and restructuring, Saint Clare Parish came not as a sign of growth and promise, but as a sign of general decline and uncertainty about the future. Like a child born into the Great Depression of the 1930s, Saint Clare Parish was born into a time of uncertainty and angst. But, as history has often shown, it’s in these difficult periods that both humanity and faith grow the most. If history has anything to say about it, the future story of Saint Clare Parish could be very bright. Only time and faith will tell. St. Clare Parish is the product of a merger between St. Paul Wrightstown, St. Mary Greenleaf, and St. Patrick Askeaton. The territory of St. Clare extends from Hwy 41 in the West, to Morrison and Wayside in the East, and from County Rd ZZ in the North, to Cty Z and Cty K in the South (see the parish territory map). In sheer size, it matches the combined area of Appleton, Grand Chute and Kimberly. And, at present, there are 1152 families on the St. Clare Parish roster. The parish also supports a parochial school of 125 students (grades 3K through 8). St. Clare Parish also maintains five cemeteries: St. John Morrison, St. Mary Greenleaf, St. Patrick Askeaton, St. Paul Wrightstown, and St. Patrick Snyderville. The first Pastor of St. Clare was Fr. Dennis Bergsbaken, having been appointed by Bishop David Ricken to oversee the merger and provide the initial direction for the new parish. As with most parish mergers, the Pastor’s task was not an enviable one. After seven years and many trials and blessings at St. Clare, Fr. Dennis stepped down in July 2016, turning the parish over to the will of God and the guidance of the Diocese. In July 2016, Bishop Ricken appointed Fr. Brian Wideman to serve as Priest-Administrator of St. Clare Parish. This is his first pastorate, having served the prior two years as Parochial Vicar at St. Bernadette and Sacred Heart parishes in Appleton. The story of the three former parishes begins the same year Wisconsin became a state: 1848. Father Theodore Van den Broek, having done extensive missionary work with the Native Americans in the area we now know as Little Chute, arranged for five ships of Catholic Hollanders to come to the United States and settle in and around this part of Wisconsin. One of the ships, the Libra, was led by a certain Father Adrianus Gothard, while Fr. Van den Broek led the main ship. Upon arrival, Fr. Van den Broek founded St. John Parish in Little Chute, while Fr. Gothard (a Franciscan) founded St. Francis Parish in Hollandtown. From these two Hollander priests, and these two parishes, the seeds were planted for St. Paul, St. Marys, and St. Patrick parishes to emerge. With the immense immigration of Europeans in the Mid-19th Century, the Catholic population at both Little Chute and Hollandtown began to explode. People were looking to spread out. And so, in 1858, a parcel of land northeast of Little Chute was donated by George Garrity Sr. for a new church and cemetery. The area was known as Snyderville, and it was there that a simple log structure, the “Chapel of the Lone Pine” was built; Father Peifferl from St. John’s in Little Chute, said the first Mass. By the late 1860s, the Chapel had become too small, and so Fr. 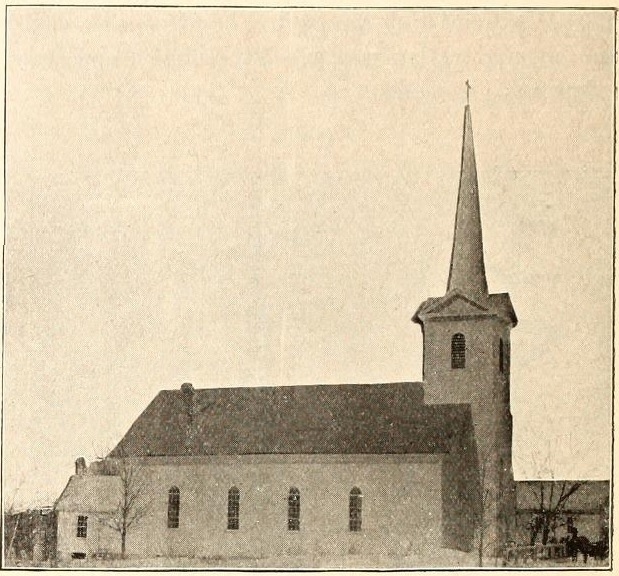 Verberk (from Little Chute) persuaded the people to build a church in Wrightstown. In 1868, a new church was constructed by the bridge, and in 1871, Fr. Elzear De Wilt was appointed the first Pastor of St. Paul Parish. The Chapel ceased to be a mission of Little Chute, and was made a mission church of Wrightstown. While this growth to the northeast was happening, growth was also happening from Hollandtown to the east, toward what would become Morrison and Askeaton. Askeaton (or East Holland) and Morrison (or Morristown) were both missions of St. Francis Parish in Hollandtown. In 1855, a Fr. Perrodin said the first Mass for Catholics in the Morristown area. And four years later, in 1859, two acres were donated by John Clark for a church (which was built in 1868), and Patrick Boyland donated an acre for a cemetery. Fr. James Lane was appointed the first Pastor of St. John the Evangelist Parish in Morristown. At this same time, the mission church at East Holland (Askeaton) became the responsibility of Fr. Lane and St. John’s Parish. 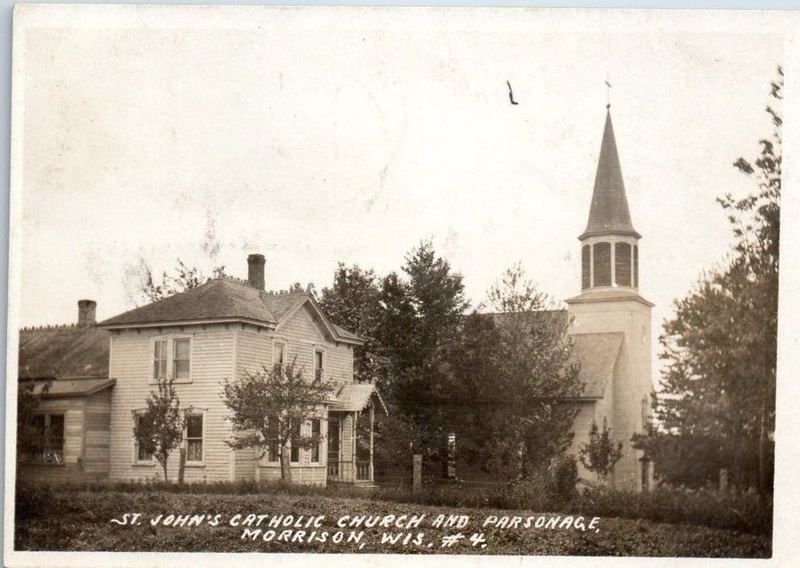 In 1884, St. John’s Morrison began a mission church at Stark (which would eventually become St. Mary Stark-Glenmore). Around the same time, St. John’s also began a mission at East Wrightstown (Greenleaf). The first church building at Greenleaf was little different in size from the current building, but it was white clapboard and fairly austere inside. 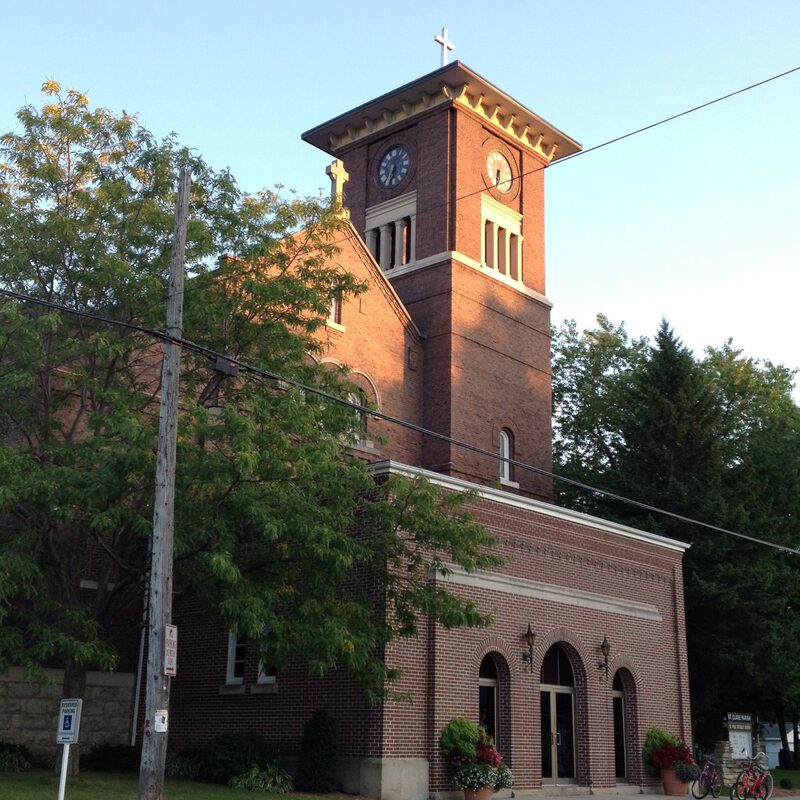 This building was replaced in 1917 with the second and current St. Mary Church building. The effect of these two mission churches on the vitality of St. John’s had a negative impact, however. The congregation at Morrison slowly declined in numbers to the point that in 1966 there were only 38 families remaining. This same year, 1966, St. John’s Morrison was suppressed (closed), and the building torn down. Interestingly, it wasn’t until the closing of St. John’s that St. Mary’s Greenleaf became its own independent parish. 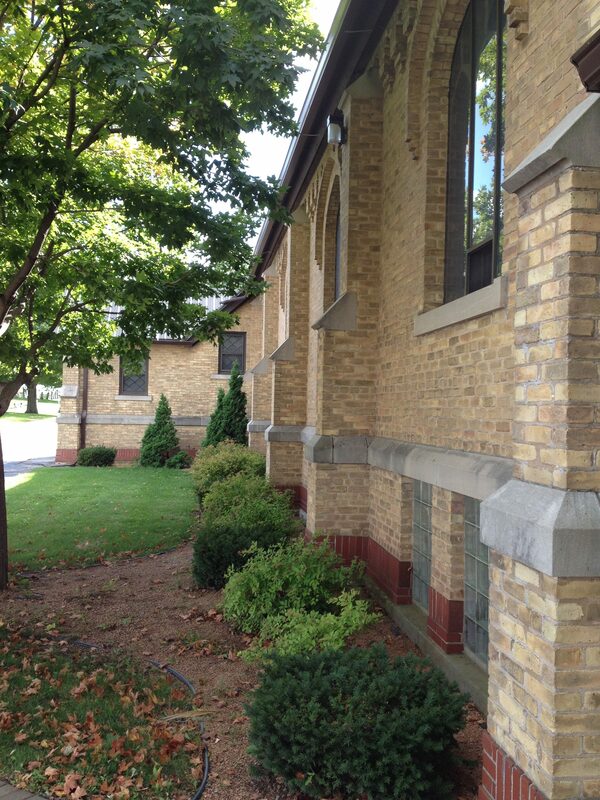 Prior to 1966, St. Mary had always been a mission church of St. John’s, served by the pastors of St. John. In January 2008, the parishes of St. Paul, St. Mary, and St. Patrick were linked, with Fr. Dennis Bergsbaken as their shared Pastor. And in July 2009, the three parishes were suppressed (closed) and the new St. Clare Parish was incorporated from the merger of the three. Is this the “final product” of God’s working? Not likely. Our history with God is a fairly fluid history. As our ancestors in faith have done, may we continue to follow God, as his faithful people.